Need a quick and inexpensive way to entertain your kids on a hot summer day? 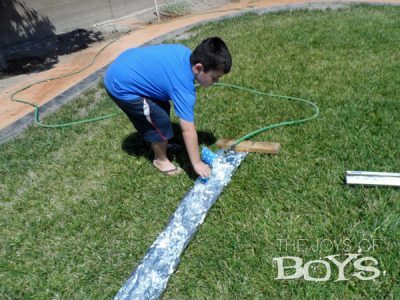 Try making a foil river! It’s so simple and yet your kids will spend hours racing things down the river.